Hipp Hipp Hooray. 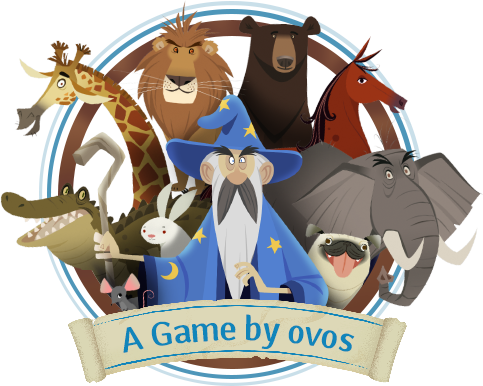 We have to celebrate THE LANGUAGE MAGICIAN’s first birthday this month – in September 2016. And it is not the only thing we have to toast. One year in the making of the project, the ten project partners have achieved all the milestones and more that were expected. The aim of the project is the development of an assessment tool in the format of a computer game. This tool will support the teaching and learning of modern foreign languages at primary school level in the UK and other European countries. Being a digital tool, it surely will add motivation and professionalism to the primary classroom as well as enable teachers to prove progression when repeated. On top of that, it will save stretched to the limit teachers an enormous amount of time. Accompanying for quality assurance and research purposes, tests in four countries’ schools will be conducted. Imagine: Results of a 40 min test of 30 students in the blink of an eye – or better: with the click of the mouse ready to download. When repeated you cannot just diagnose the current state of the pupil’s knowledge but clearly prove progression. How far has the project progressed in order to deliver one of the most advanced tools in primary education? When the partners applied for the project with the EU commission in March 2015, the general storyline of the computer game was included in the application, the non-existing game already had a name which was approved by copy right experts and a serious games company was chosen that was willing to program the software should the project go ahead. It meant that after the approval of the project in September 2015, work could commence in an instant. Generally, the administrative work of a project this size with ten partners in four countries is like a project in the project. Milestones have been achieved in this respect as well but here we will mainly concentrate on those milestones achieved in the development of the game THE LANGUAGE MAGICIAN (TLM). The partners worked on multiple tasks the first of which was the synopsis of standards of the participating countries at primary school level. After that, work on the content for the game started. In the first round, Spanish, German and English were chosen to be tested – English in Germany and Spain and Spanish and German in the UK. 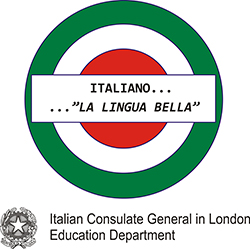 Italian and French in the UK as well as English in Italy will follow in 2017. In March 2016, decisions on the length of the game, number of exercises and their difficulty were made. By April 2016, all of the tasks had been agreed on and it was the programmers turn to embed the tasks into the storyline. Additionally, a digital questionnaire was developed which will be used by four universities doing research in the project. The research topics include questions about language skills and teaching methods, motivation of pupils, comparison of results from groups in different countries and finding out about the quality of the game’s digital approach. Answers are expected from more than 2.800 pupils in four countries. Reading, writing and listening tasks are included in the game which is presented to the pupils as a quest through different floors of an evil magician’s tower. The pupils are young magicians themselves and they have to save animals in the tower who the evil magician turned into door knockers. Only the power of knowing the foreign language spells would help to turn the animals back. When pupils play the game, expect them to not lift their heads for the duration of the 40 min test. They will be focused, interested, not fearful of being tested and keen on doing every task in this truly remarkable game – the first of its kind at primary level – as far as we know. A good storyline – similar to films – needs great voices and music. The voice overs were produced in three languages with 14 different speakers in July 2016. Parallel the piloting at schools needed to be prepared. Besides letters for teachers who potentially could take part in the tests with their pupils, consent forms, a data policy and a 12-pages information brochure with an overview about aims and content of the project were created in four languages. Furthermore, merchandising products like pencils and reading signs as a thank you to participants as well as for dissemination events have been ordered, requiring design works prior to this. Right on time, spot on the date of the European Day of Languages, the 26th September 2016 and worthy of the occasion, the first official presentation of the still password protected game to all the partners and selected guests will commence. One of the highlights of the event will be the presentation of the trailer for the game. Another milestone has been reached by producing this video clip which shows how the game works and what the advantages are for teachers using the game. It can be sent to teachers as information source before the first piloting sessions in schools can begin in October 2016. Level 1 is recommended for pupils at the age of 8 or 9, who had approx. 100 hours of language tuition. If for example 2 hours per week are provided for language tuition the computer game can be used for assessment after approx. 50 weeks of language tuition. A second level for the game will be developed in the following project months, which can be used after approx. 200 hours of language tuition. But let’s take a step back, celebrate all the achievements together so far – even the game developers told us they have never created a game in such a pace. We would like to thank all our inspiring and engaged project partners. We are proud of our partnership and all achieved mile stones and results.